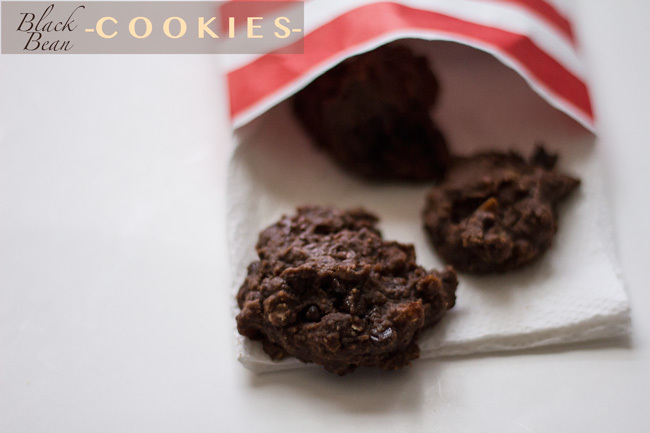 Black bean cookie recipe - Pin it! Chickpea cookies have been my go-to for a while now and it was time to make a change. I made these the other night as family arrived from a 17 hour drive from Texas and they really hit the spot. If you don't tell anyone there are black beans in them, they'd never know, I promise! 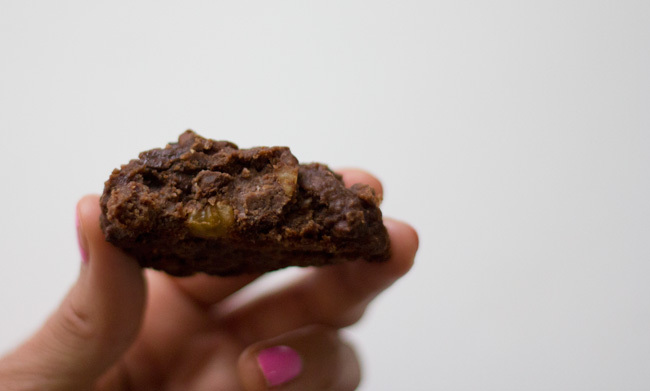 They're really moist and chewy, almost like brownies, and I added walnuts for a little bit of a crunch. Hope you enjoy! Put everything except the chocolate chips and walnuts in a food processor or high powered blender and mix until it has the consistency of a lumpy pudding. Use a spoon and put little dollops on a cookie sheet and back at 350 for 10 minutes. Serve immediately or keep them in the fridge (they still will be moist!) for later. Note: These seemed to stay shaped the same way you put them on the cookie sheet so if you like a perfectly round cookie, shape them that way.